We are excited to share a number of events that have been planned for Martin Luther King, Jr. Day 2018 in Harrisonburg. 10:00-10:30am: Hear and explore pieces of selected speeches and sermons from Martin Luther King, Jr. at Eastern Mennonite University Lehman Auditorium. 11:00am: Community Church Service with Rev. Risher at Bethel African Methodist Episcopal (AME) Church, 184 Kelley St.
1:00pm: Community Lunch for church attendees held at John Wesley United Methodist Church, 425 Effinger St. The Sigma Gamma Omega and Lambda Chi chapters of Alpha Kappa Alpha Sorority, Incorporated present their 27th Annual Dr. Martin Luther King, Jr. Community Breakfast. Free Admission. Join us for a community march of solidarity across Martin Luther King, Jr. Way Bridge, a program of reflections on the life of the Reverend Fred Gibson, and a fellowship potluck luncheon immediately following the March. 11:00am: March begins at Emmanuel Episcopal Church, 660 S Main St.
11:45am — 1:00pm: Luncheon at Emmanuel Episcopal Church, 660 S Main St. The People’s March will commence at 11:00 a.m. at the corner of Main Street and Martin Luther King, Jr. Way, cross the railroad bridge to Memorial Hall and return, using sidewalks only to Emmanuel Episcopal Church at the same corner. Appropriate signs or banners are encouraged. The program, held in the church sanctuary, will begin about 11:45 following the march. The event’s focus is on the life and legacy of the Reverend Fred Gibson (1929-2015), a seminary classmate of Dr. King. Reverend Gibson, a Harrisonburg resident, brought the spirit of Dr. King to many in Harrisonburg throughout the street renaming effort and until his passing. This year’s program will include selected readings from King’s work and presentations by Gibson family members and friends who learned about King from Reverend Gibson. Out of respect for the privacy of the participants, no recording is allowed in the church. This year’s program does not include audience comments. After the program, about 12:30 p.m., people are invited to a potluck luncheon in Fellowship Hall honoring and remembering the life and work of the Rev. Dr. Martin Luther King, Jr. and Rev. Fred Gibson and to build the beloved community they envisioned. 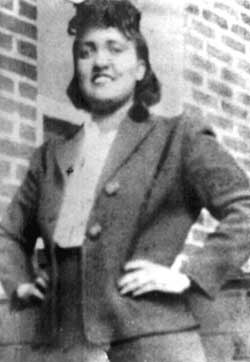 3:45pm: The Immortal Life of Henrietta Lacks showing and talkback in the Eastern Mennonite University Science Center, Room 104. JMU Memorial Hall Auditorium, 395 S. High Street. 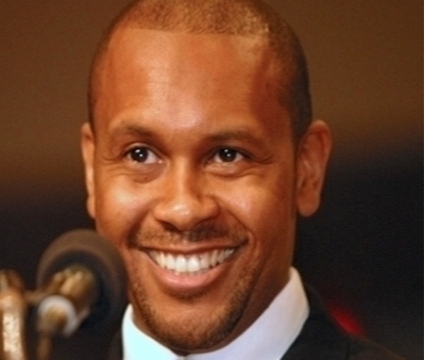 Kevin Powell will be discussing King’s legacy in James Madison University’s formal MLK commemoration program. Kevin Powell is now a political and cultural commentator, after being raised by a single mother in extreme poverty. He managed to study at Rutgers University in New Brunswick thanks to New Jersey’s Educational Opportunity Fund. You can read some of his past reflections on Martin Luther King, Jr. from The Guardian and CNN.